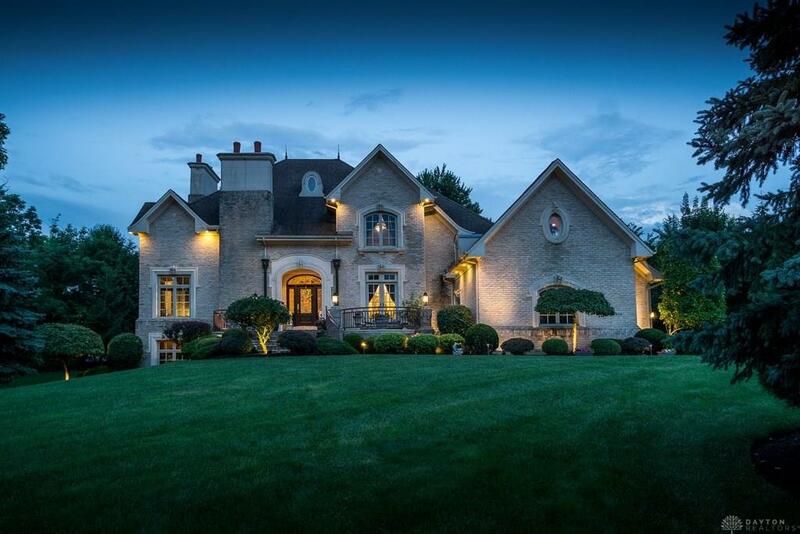 Grand estate nestled in Stone Ridge! This amazing French Provincial style home is situated on over 1 acre. Wooded lot, impeccable landscaping, captivating views, private, peaceful & serene. Grand entry with marble flooring. Beautiful lit art gallery niches. Exquisite Formal Dining with Veranda Terrace. Executive Library with bookcases. 2-story Great Room, wall of windows. Gourmet kitchen, custom cabinetry, center island & gas cooktop. Hearth Room, 1st Flr Owners Suite with fireplace and private Sunroom. Upper level offers Loft area, Guest Suite style bedrooms a Bonus Room. Finished walk out lower level is perfect for entertaining. French doors, windowed Recreation Room with fireplace. 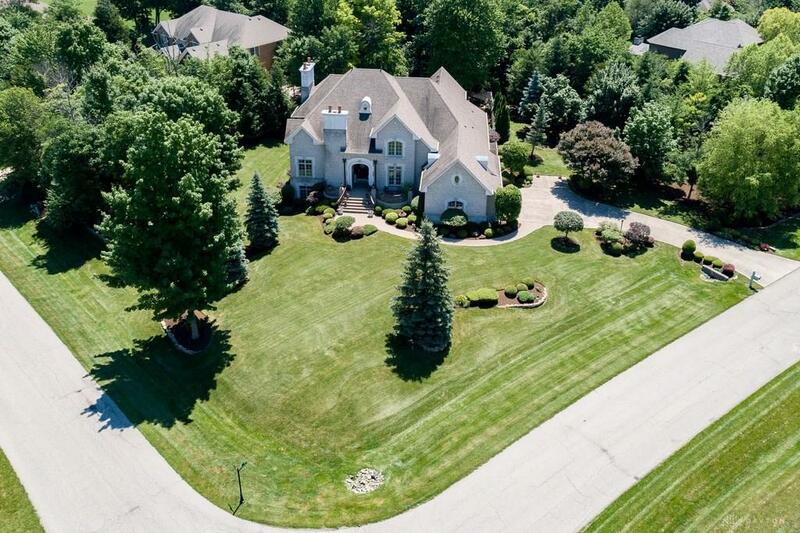 Entertaining Bar/Kitchen, Home Gym, Theater Room with hand painted details, 5th bedroom, full bath, & Storage Room. 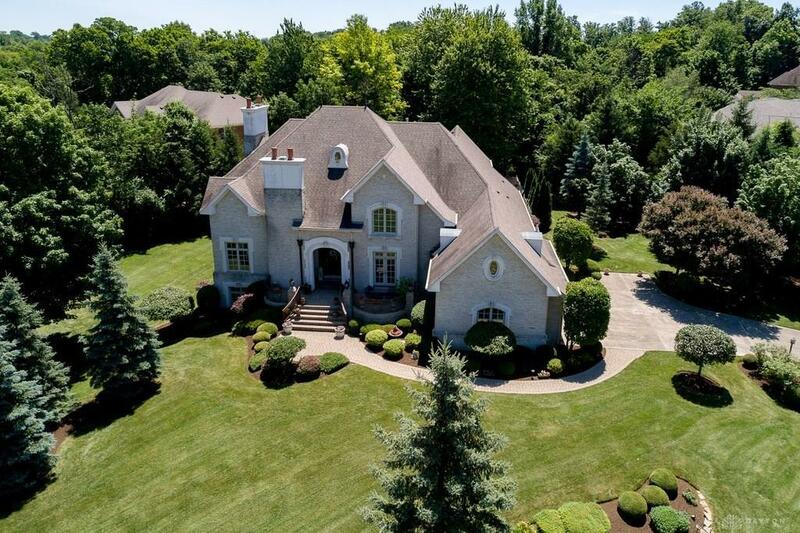 Crystal chandeliers, hardwood flooring, quartz countertops, 5 fireplaces throughout. Tiered decking, fenced yard, Shed, 3-car side entry garage, epoxy floors, and so much more. Listing provided courtesy of Nicole Palcic of Comey & Shepherd Realtors. © 2019 Dayton Area Board of REALTORS® MLS. Information Deemed Reliable But Not Guaranteed.